Every year I always look forward to the Christmas Today's Special Value from Laura Geller. In case you don't know a Today's Special Value (or TSV) is a one day only offer on QVC where a brand puts together a collection of products at a special low price. However at Christmas time they always go to town both on the products and on the value! 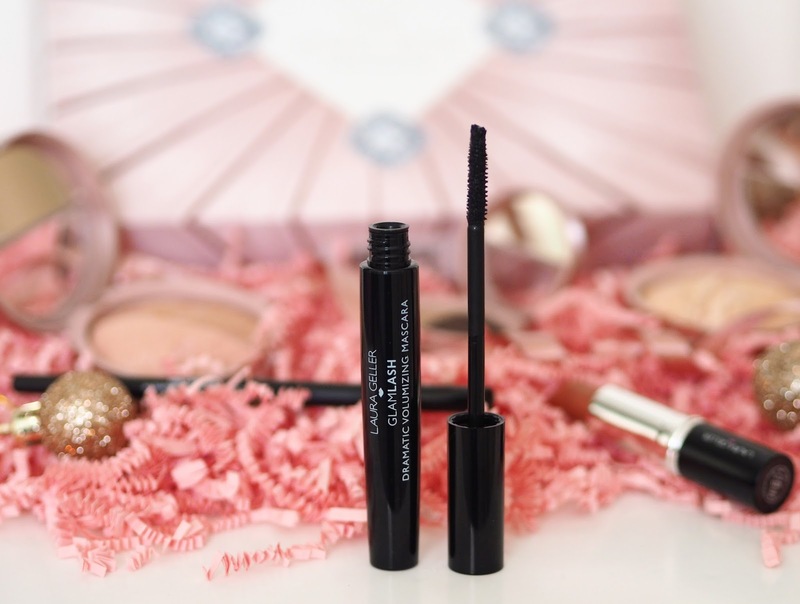 I was lucky enough to be sent the upcoming Laura Geller TSV to preview and share with you guys and let me just say now, this years offering does NOT disappoint! I would totally recommend picking it up as it's full of Laura Geller's classic products and some of my all time favourites too plus it's amazing value! Laura Geller is one of my favourite make up brands that I actually originally discovered through QVC around 5 years ago. What I love most about her brand is her baked formulas. 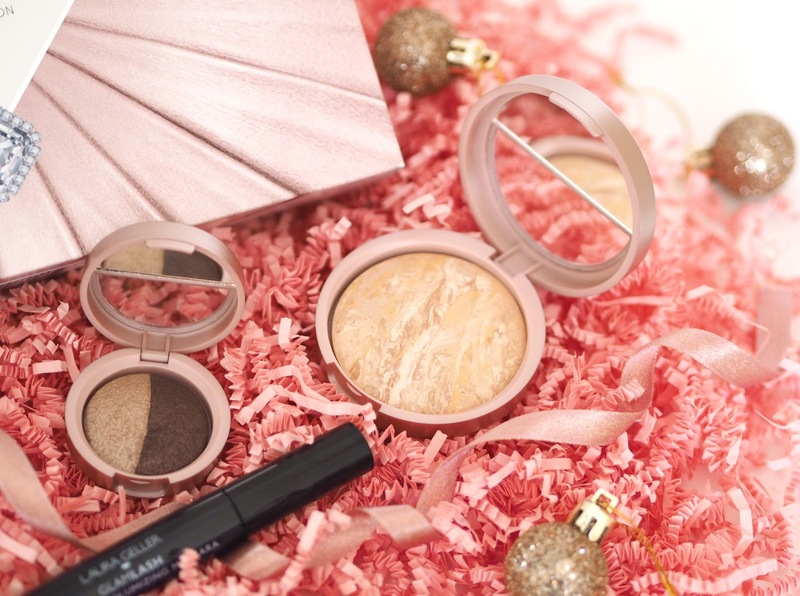 All her compact foundations, blushers, highlighters and eyeshadows start their lives as cream products and are then baked on terracotta tiles for 24 hours and hand-finished by Italian Artisans. This means each product glides onto your skin leaving a perfect soft, lightweight and airbrushed finish that can be layered for the intensity you desire! I'm so fussy when I comes to foundations and finding her Balance n Brighten & Balance n Glow formulas was a bit of a eureka moment for me! It just totally works for my skin and doesn't feel heavy. 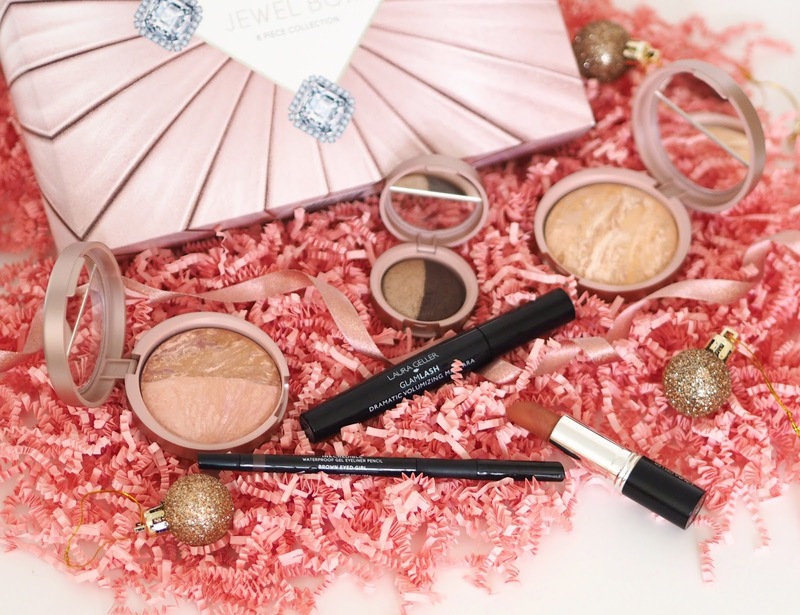 The Jewel Box Collection is presented in a beautiful pink gift box with jewelled pattern. 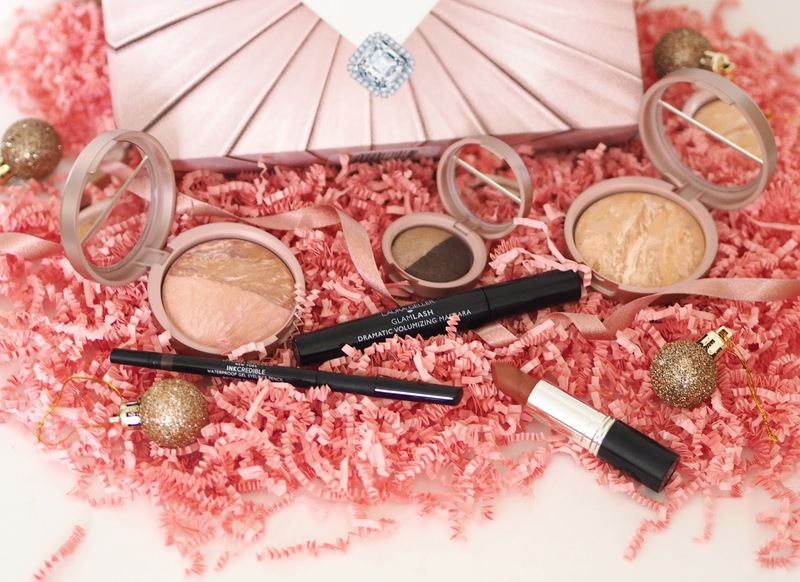 It contains 6 pieces and is inspired by the timeless glamour of old Hollywood. 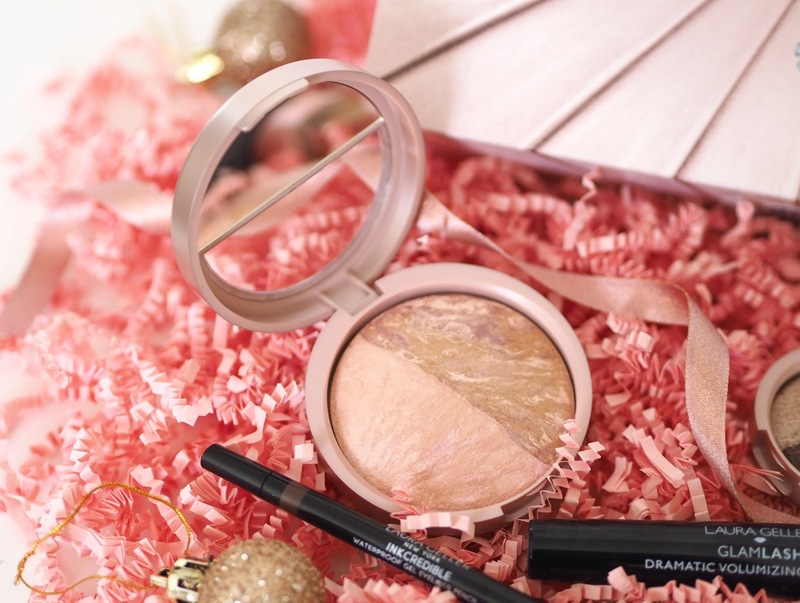 It's designed to be given as a beautiful gift for a loved one or as the perfect go-to make up collection for yourself this party season! The choice is yours. 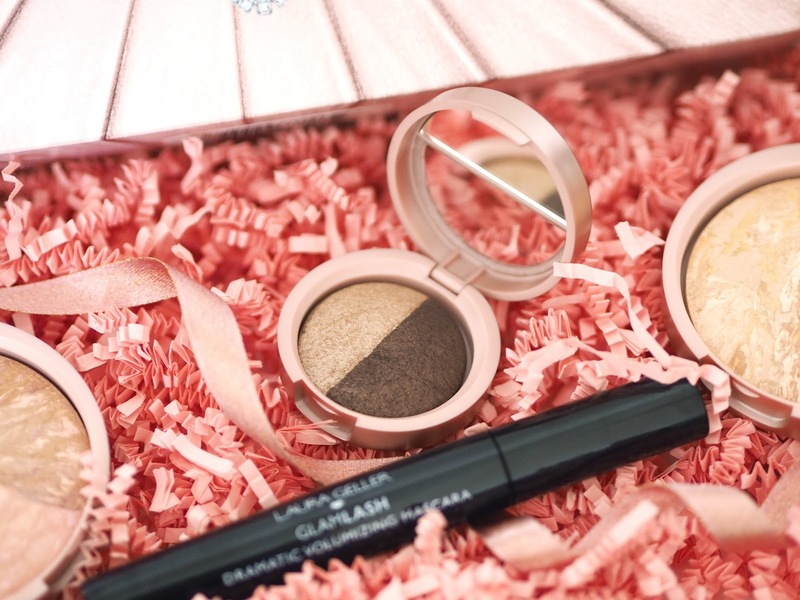 The majority of the products in this collection are ones that I already love, use regularly and have repurchased so I think that goes to show just how fabulous the collection is! Balance-n-Glow Illuminating Foundation (8g) in a choice of Porcelain, Fair, Medium, Tan or Deep. Scroll down to see more images and information on each product, my thoughts and what the collection looks like on me! 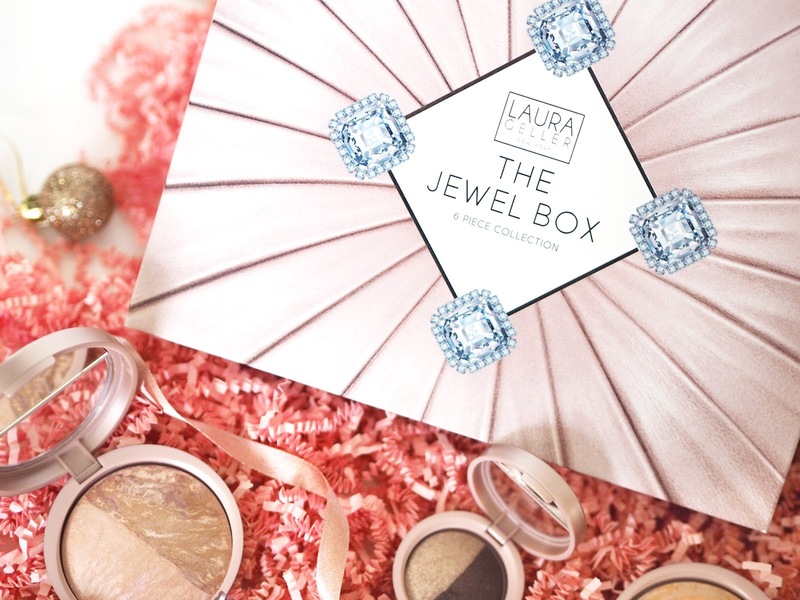 The Jewel Box Collection launches this Saturday 18th November and the value will end at Midnight. It is priced at £39.96 plus p&p, lowered from it's original price of £59.00! It is actually already available online as a cheeky pre-sale so get your orders in whilst stocks last. Balance-n-Glow Illuminating Foundation | I actually prefer this foundation formula to Balance n Brighten due to it's extra illuminating qualities! 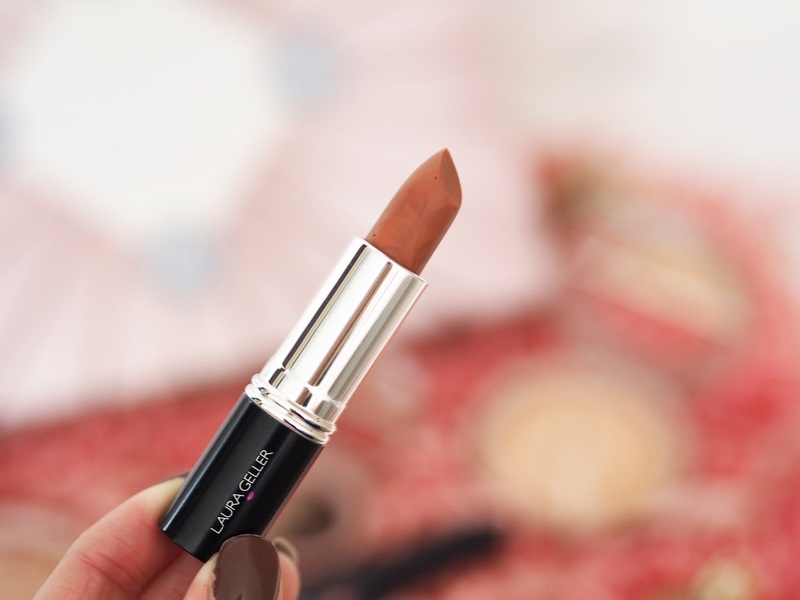 You have a choice of Porcelain, Fair, Medium, Tan or Deep - I wear the Fair shade all year round. 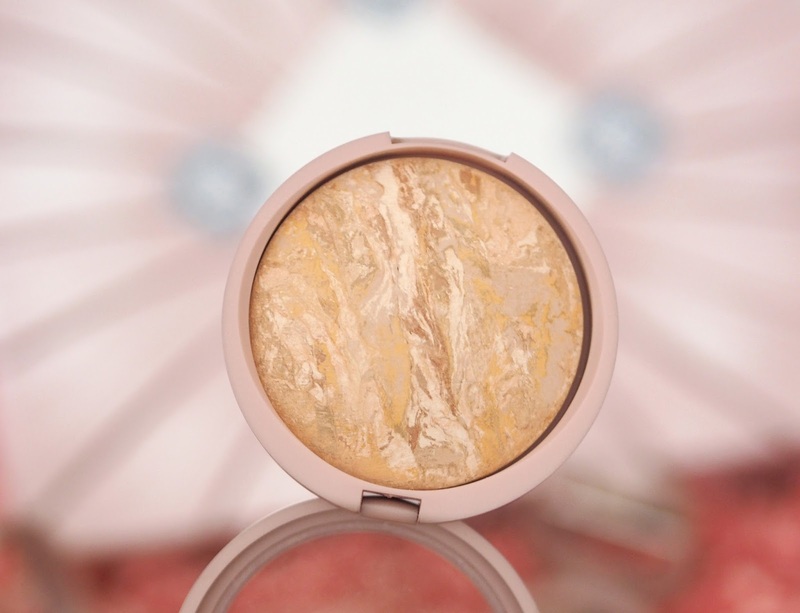 This is creamy, smooth powder foundation that helps to brighten and colour-correct your complexion's appearance for a beautiful airbrushed finish. Blush-n-Brighten in Ethereal Rose/Sateen Subtle Berry | Ethereal Rose is an absolute favourite amongst fans so I was delighted to see it in this collection! Giving the cheeks a smooth, long-wearing flush of colour. Paraben-free and formulated with the antioxidants centella asiatica and white tea extracts. I used the Subtle Berry half as more of a pop of colour for the apples of my cheeks and the Ethereal Rose to highlight the tops of my cheek bones. Of course you can easily swirl your brush across both shades for a beautiful multi dimensional colour. 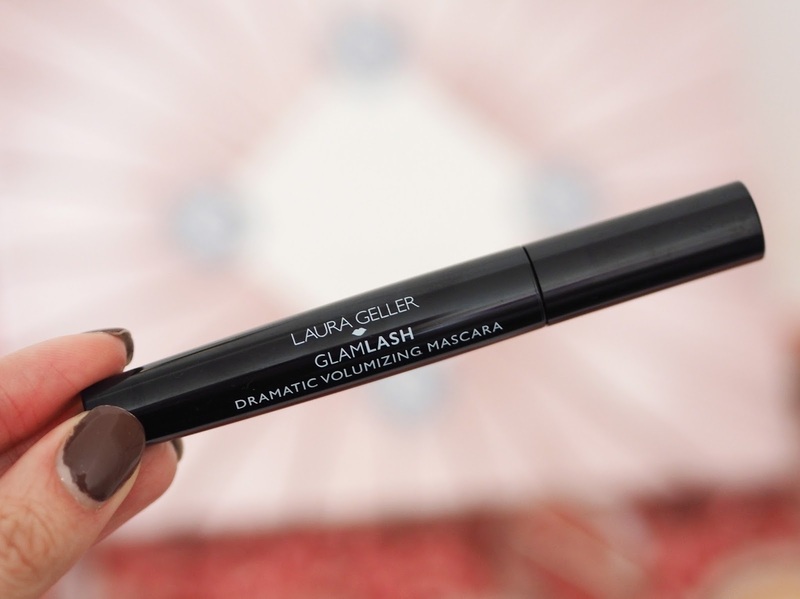 GlamLASH Dramatic Volumizing Mascara in Black | A mascara that is designed to separate, thicken and lengthen the look of your lashes for a flutter-worthy finish. 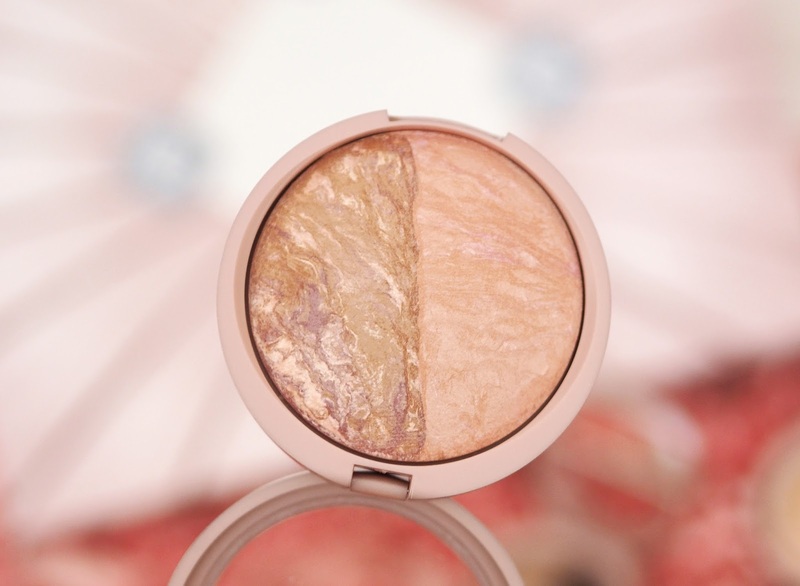 Eyeshadow Duo in Almond/Chocolate | Two beautiful, easy to wear, shades in this shadow compact. High impact, coloured pigments in a silky, creamy texture that lasts. Enriched with jojoba oil, vitamin E, centella asiatica and white tea extract. 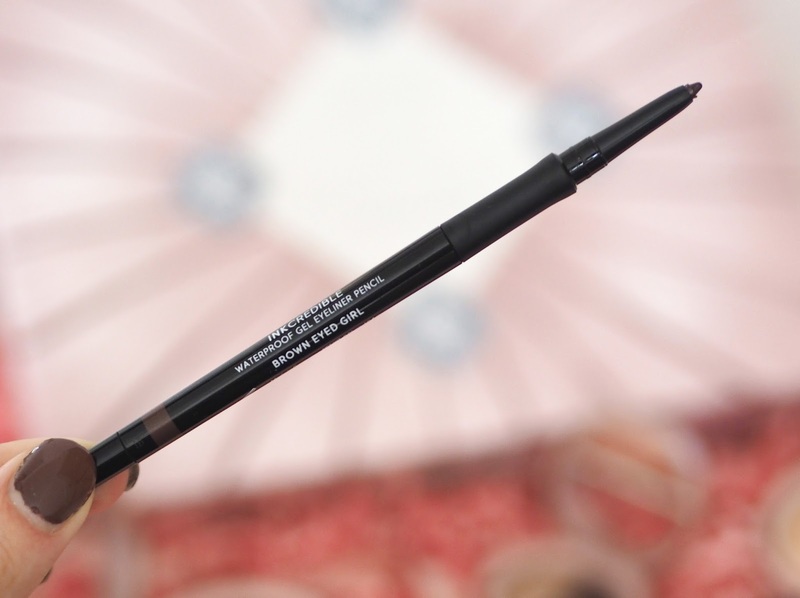 INKcredible Waterproof Gel Eyeliner Pencil in Brown Eyed Girl | A deep brown shade with a glide-on formula that stays put from day to night, delivering powerful, vibrant, multi-dimensional colour. 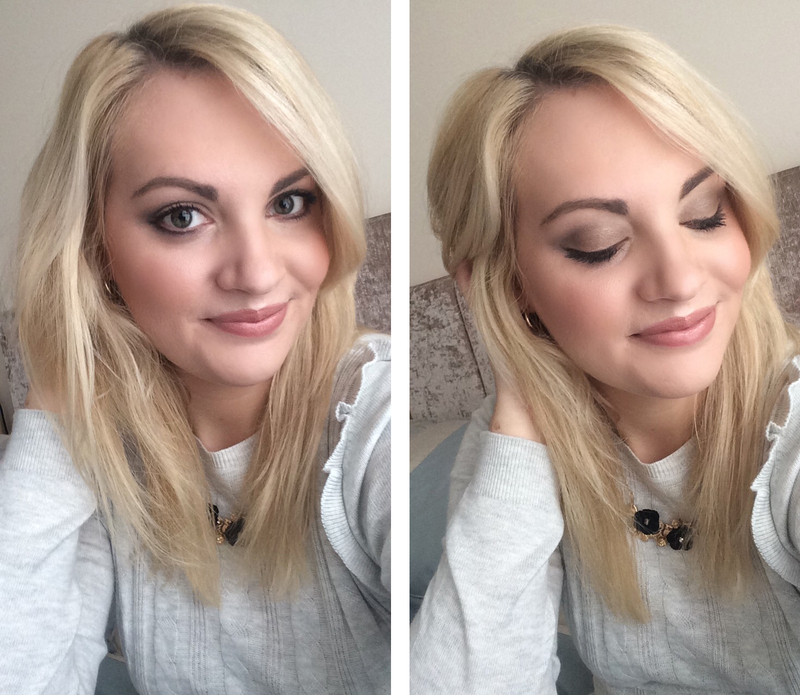 Italian Marble Lipstick in Vista | This is actually a lipstick I already own and love so I am so pleased to have a top up! 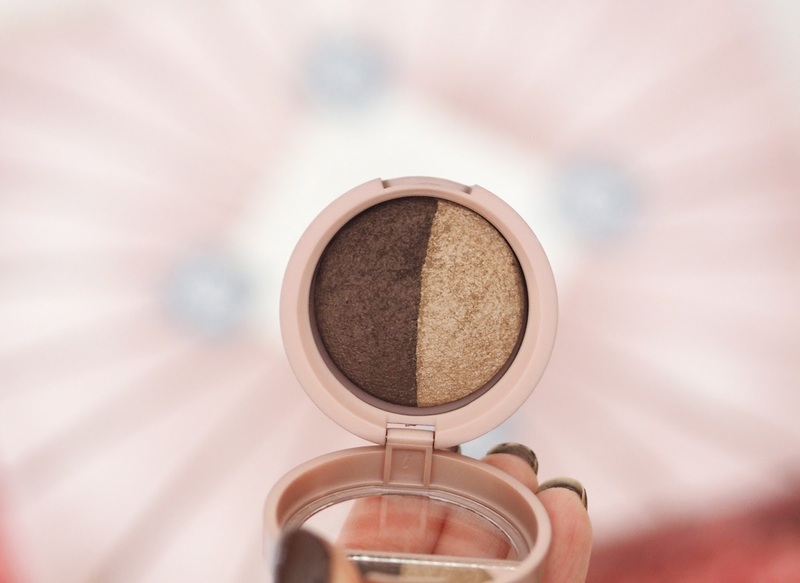 The shade is a sheer, soft brown and is super moisturising. Featuring swirls of light and dark pigments that create a vibrant depth of colour on your lips. Let me know what you think of this collection? Will you be buying it either for yourself or a loved one? That lipstick is gorgeous! I need to get it! 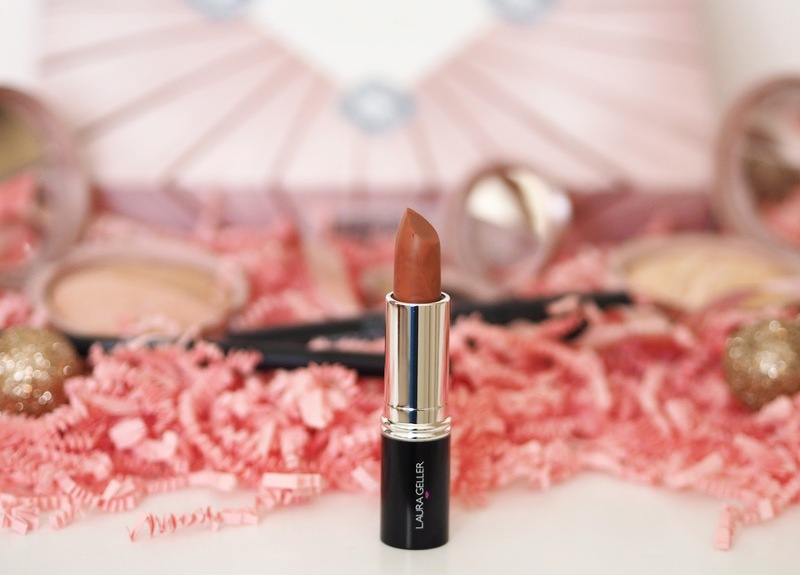 I have Laura Geller's Pucker Up Lipsticks in all of the nudes from b-glowing already but you can't have too many right?